From thrilling adventure parks to shopping, Sydney has plenty to offer. There are just so many things to do and see in Sydney and its surrounds. The more you stay and go about in the area, you tend to find that there are hidden gems and more places to go and experience. Besides the main attractions and landmarks of the Sydney CBD, there are attractions in almost each area of the Greater Sydney. Each surrounds has their own unique experience, shops and eateries. Avoid the flock of tourists at the Harbour Bridge and Sydney Opera House and head further out to see and join in to what the locals are doing. So when you are after more things to do in Sydney, be ready to be overwhelmed with the amount of options nearby. Here are some of the 5 best places to check out. Taking just a step from the Sydney CBD, Sky zone is located in Alexandria – about 20 minutes from the CBD. 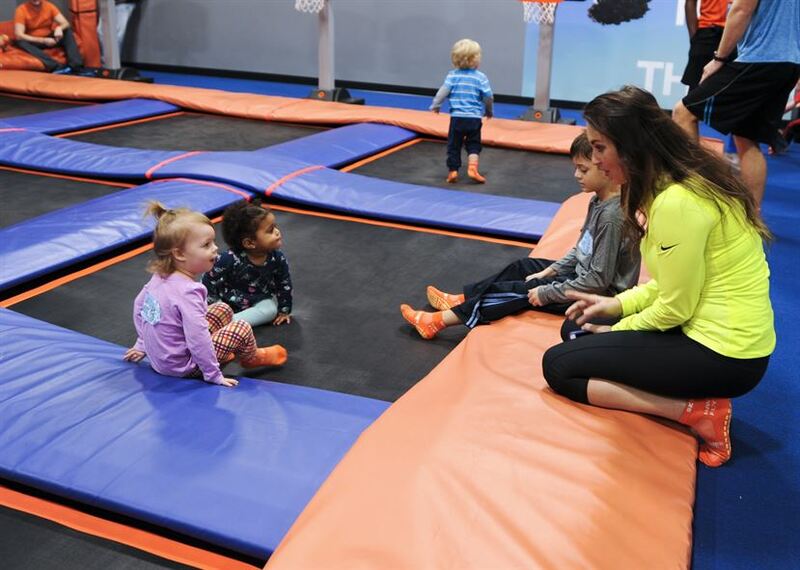 Sky Zone is essentially in indoor playground haven that will entertain toddlers to young adults. There are hundreds of trampolines with different zones encompassing different activities like dodgeball, climbing and pit zones. You can use this to practice your flips, jumps and other nifty tricks. This experience is perfect for teens, and families to enjoy a great day out. Monday and tuesdays are the least busiest times to head there. So make sure to grab some tickets beforehand. There is also Laser tag, Sky Climb and a challenging Enduro Ninja Warrior course within the venue. This experience is for the shopaholics. Those that can shop endlessly with minimal breaks. The Shopper Hopper is essentially a water taxi that takes you from major shopping outlets to another. You can start your day off shopping within the Sydney CBD at Harbourside Shopping Centre and its surrounds. The shops here are rather high-end with lavish dining by the harbour. After a great brunch, you can hop on the Shopper Hopper to Birkenhead shopping outlet to find great deals. This outlet is packed with premium and well-known brands at affordable prices. You won’t see many shoppers leave the complex without a bag in hand. This shopping experience is going to take the whole day, so have the shoes and company to handle it. The Shopper Hopper has trips every hour depending on your location. You can catch it from BirkenHead Wharf, Circular Quay or Darling Harbour. But do be careful and plan your return trip beforehand as the service terminates at 6pm. You can do return trips or one way trips. The choice is yours. The drive to Birkenhead Point is 15 minutes from the Sydney CBD. Heading further inland, the Aquatic Centre is a 35 minute drive from the CBD. The Olympic Park Aquatic Centre is an awesome experience day trip for the whole family to enjoy due to the 2 massive pools, water playgrounds, Steam and Sauna & Spa. You can float around or sit back and unwind, enjoying casually the water features. But that is not all, dry up and head outside to see an urban jungle adventure park that has a multitude of high ropes and challenging courses for adults and children to tackle. With more than 50 aerial activities across the four courses, you are able to explore and race through under a safe environment and supervision. Bookings is essential though as it does get quite busy. Outside the venue itself has more things to take your interest. There is cycling, Brickpit Ring Walk, Archery, playgrounds, parks and trails to explore. This experience would be enjoyed by almost everyone that love to spend time with family or friends or love the outdoors. Near the outskirts of Greater Sydney, a 45 minute drive west from the CBD, you will come across Blacktown. Here you will find malls, and other great family entertainment, with an addition of an amusing water park.Wet N Wild Sydney has over 40 rides and slides to enjoy. There is also a large wave pool for those that want to skip the queue and just float about. This water theme park also has a dedicated area just for the kids to enjoy. With the thrilling attractions and rides, it is more than just a waterpark. In Summer it can get really busy – with locals and tourists a like cooling off in the warmer months. So make sure you book ahead of time and get there early. This experience is for those that want to change it up, and seek a bit of an adrenaline rush while unwinding in the gorgeous climate of Sydney. For those that love to shop and a bargain. Parklea Markets is the experience for you. Open on Fridays, Saturdays and Sundays, Parklea Markets is for those looking for international food, fresh fruit and veggies, seafood, deli, groceries, clothing, tools, cosmetics, plants, souvenirs and other assortments. Though the market is far from many attractions, a 45 minute drive west from the Sydney CBD, it is the biggest market Australia has. You will definitely find something for the whole family and for any age. These are just some of the places you can check out when in the area. There is an array of things to do in Sydney in the day. Though don’t be mistaken, the nightlife is also quite enticing. There are lively pubs, classy lounges, and vibrant nightclubs for a different type of atmosphere. To get around Sydney and its surrounds, consider using effective railway system, as taxis here charge quite a fee. Though if you want flexibility and privacy, there are affordable car hire Sydney options available. So take a flight to Sydney and note some of these joyous attractions to partake in.